A JPods network can be completely powered by the solar collectors mounted above the guideway. 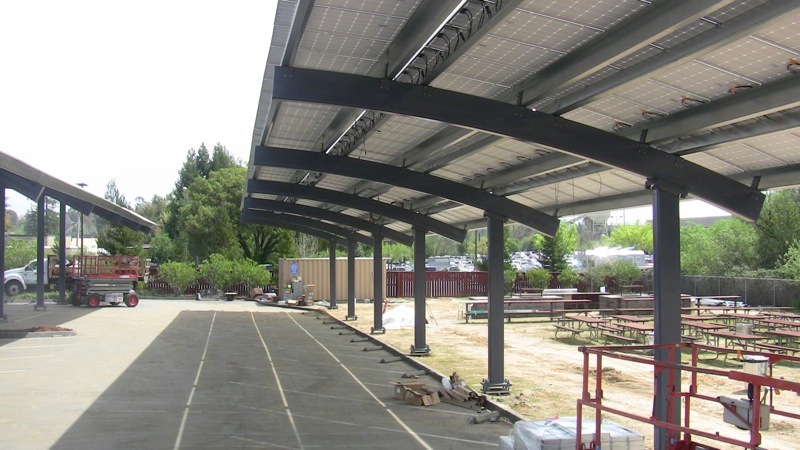 Typically solar collectors will be 4 meters wide when mounted over the guideway and 6 to 10 meters wide when mounted over a station. 1 mile of track has the capacity to move 40,000 vehicle-miles per day.